I'm desperately looking for a Puppy Kindergarten class. I've been searching the "internets" and found a couple of places, but I was hoping that maybe AOA might be able to assist and ask about good, quality puppy classes? Any help would be greatly appreciated. Here's the thing about puppies: yep, they're cute and fun, but if you're doing it the right way, they're also a lot of work -- training, socializing, no-don't-eat-that!-ing. But it's worth it. Because all that effort in the beginning pays off as they get older. 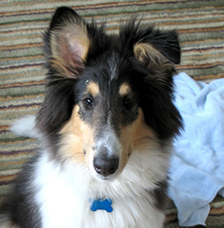 A trained, well-socialized puppy usually results in a well-mannered, calm adult dog. So, got a suggestion for Zach and his pup? Please share! And a little bit of explanation/detail about your suggestion is always appreciated. Earlier on AOA: Ask AOA: A good veterinarian for dogs? Look no further... Jody Diehl is the best. Jody trains people as well as the dogs they're adding to their families. We took our very energetic, bitey, jumpy lab to her and we now all the better for it. Her rates are reasonable and worth every penny. She also does group classes to promote canine socialization, which is just as important and sit, stay, etc. Her classes (at least used to be when we went) are conveniently located at a pet store on Delaware Ave in Delmar. Look her up, you wont be disappointed. When I got my dog last year, I took him to Puppy Class at the Latham Petsmart. Carol was the instructor and she was GREAT! I would definitely recommend her and take more classes with her in the future! Try Shaker Veterinary Hospital on Maxwell Road in Latham. They have well-trained trainers and offer several levels of classes. I speak from experience: these folks are great! I really enjoyed their training class and environment. I had used Petsmart before that, but with all the shoppers in the store, it's very distracting to the dogs. We pulled our dog out of Jody Diehl's classes at Delmar Pet Supply because she came home with fleas twice. The store is carpeted and they take in cats for adoption. I wouldn't go back there. That said, Jody's method is great and she is good with the dogs. We tried a few private trainers but preferred the structure and atmosphere at Petsmart. It was really easy for our dogs to behave when there was no distractions, so it was great that Petsmart challenged them with all of the different scents, noises, and people. Our dogs love Gabrielle at the Schenectady Petsmart. We also had a great experience with Carol at the Latham Petsmart when we did the Canine Good Citizen certification. Both trainers were great and really care about the dogs' well-being and long-term happiness. We're looking forward to getting the therapy dog certification with Carol. In defense of Delmar Pet Supply & Jody's class - her class is in the back and the floor is rubber - but yeah, the store does have carpet & they do have a kitty rescue. We took our older dog through three rounds of training there and we left round two with two of those awesome little rescue kittens & never had a problem with fleas. However, when we took our little guy (6 months - so too old for Jody's puppy socialization class) to a different trainer in an outdoor class setting (he had different needs or we would've gone with Jody again) - he picked up fleas from the outdoor training we attended. We have been fighting a flea battle for almost six months since then. That poor little pup cannot shake them - although I think we're finally almost there - meanwhile my older dog is mostly flea free with her Advantix. I think when it comes to animals & fleas you've just got to be aware that they're out there and whenever you're around other animals or just outside you're at risk for picking them up...from there, it's a matter of finding the best flea treatment for your dog. For us, it took a while to figure out that Advantix doesn't help our pup at all & we had do go around with a few different treatments & like I said, I think we're almost there (it's not an overnight thing, sadly). As long as you have a good flea treatment on your puppy that works, I wouldn't let fleas keep you from Jody's class, she really is great. i took my meathead to the class conducted at my vet's office, east greenbush animal hospital. i'd check them out, or ask your vet this very question! The Mohawk Hudson Humane Society has a puppy class starting this Saturday at noon with Glenn Pierce. All positive reinforcement reward based training. Call 434-8128 x207 to sign up. Sit Happens. We enrolled our Akita there and it's a great class to take if you're looking to cover more than just the basics. Once you and your furry friend successfully complete the course he/she can be registered and qualified as a Canine Good Citizen (CGC) which is recognized by the AKC. The instructors make the sessions fun and educational for both the owner and dog and positive reinforcement is highly stressed throughout the course. My pup and I took the puppy class at the Latham Petsmart with Carol and loved it so much we took the intermediate and advanced classes too! Carol is great, very knowledgable and willing to help with all aspects of puppy training ( potty training, chewing, socialization, etc) not just the basic training elements covered in class. I am currently enrolled in puppy class. The store is under new ownership, and has been renovated. No carpeting anywhere. Fresh and clean. As for blaming the store or class for your flea issue, this is unfair and unreasonable. There are hundreds of places that YOU could have picked up a flea or 2 and brought them home to your puppy. Not to mention your vet's office when puppy went in for the monthly vaccinations. This happened to be a terrible flea season, but blaming Jody's class or the store is just not fair. Not trying to start a debate, or argument. Just pointing out something you may not have thought about. That said, this is the fourth dog that I have brought to Jody for classes, for the last 6-7 years. She is simply the best trainer around, and I have never found issue with any aspect of my experience, regardless who the store owner has been. I used Jody Diehl for my adult rescue and really enjoyed Jody's method. I did not have any problem with fleas at Delmar Pet Supply. However, I did think that the space for the obedience class was way too small. My dog needed more room, so I would inquire about class size and check out the space first. But again, Jody is a great trainer. My coworker speaks highly of Joni's Doggie Train but I've never used her, and can't give a personal reference. My husband and I just can't say enough about Jody Diehl. She is the absolute BEST -- extremely knowledgeable and really cares about what she does. Our dog Clyde would be a different dog if it wasn't for Jody. The force-free, positive reward based training worked SO well for him as a puppy. She is the reason he is such a well behaved, well socialized dog. If you are thinking long term (and you should be with a dog!) you are doing your dog and yourself a great disservice if you don't contact Jody. Plus, the dogs love her! Training is FUN and so effective. Just the best, hands down. www.dogswithjody.com. Also -- I have read some negative comments about Delmar Healthy Pet Center -- as an update to everyone they do not have carpet in their training area anymore. It is cleaned all the time and is open and airy and a great room to train in.